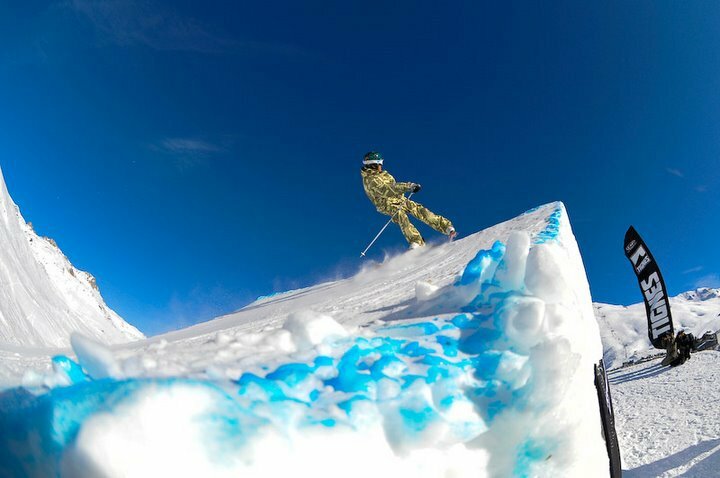 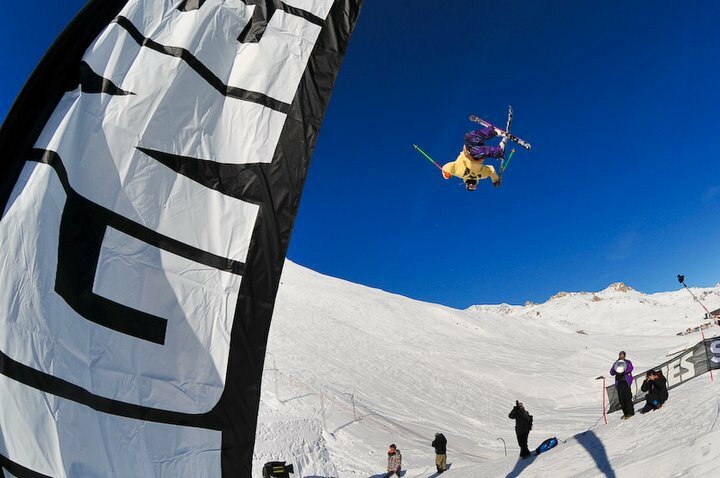 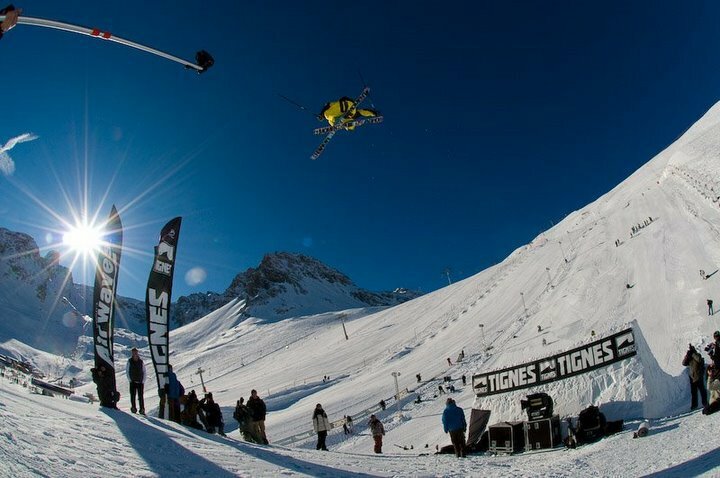 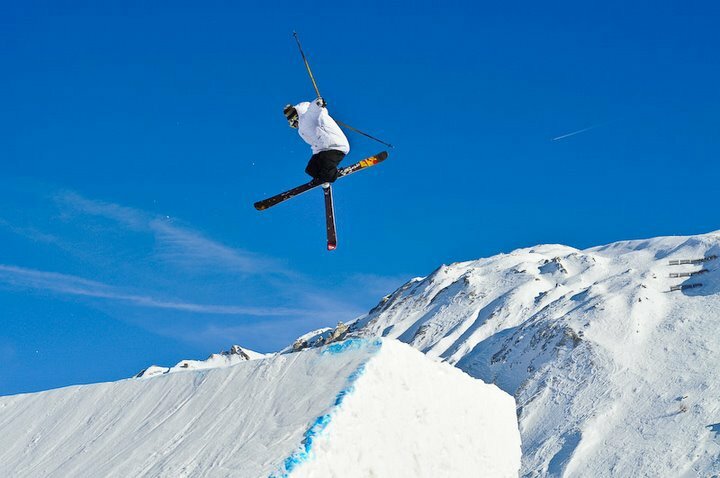 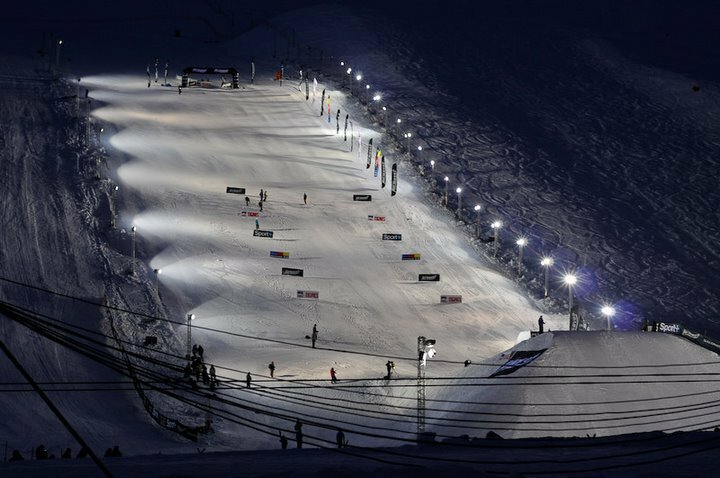 The Tignes Airwaves is back for its fifth season in 2009 with the monster French resort stepping up their efforts from the past few seasons by creating a European-style X Games. 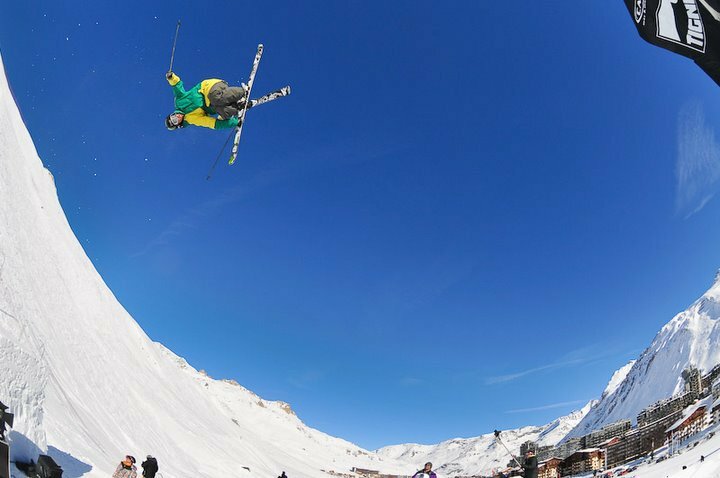 The founding of CoreUPT in Tignes over the summer has boosted the freestyle focus of the area even more, and for this year the organizers decided to go for a Europe vs. North America format and tapped up Candide Thovex and TJ Schiller to head up teams of eight riders. 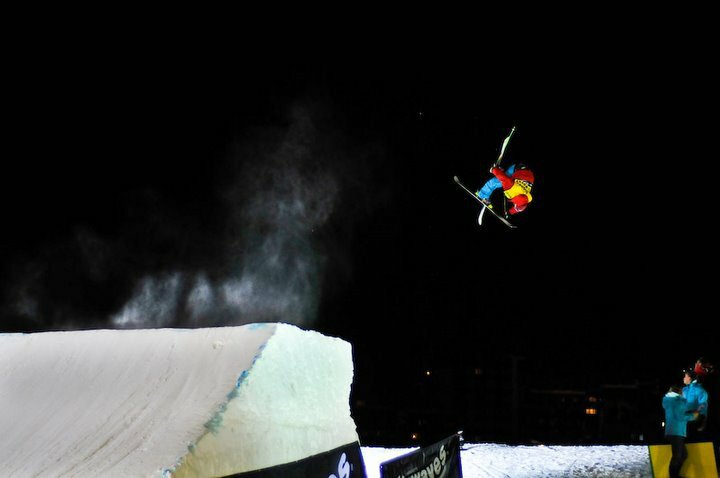 The comp would be head-to-head between pairs of riders with a rookie battle as a tiebreaker if necessary. 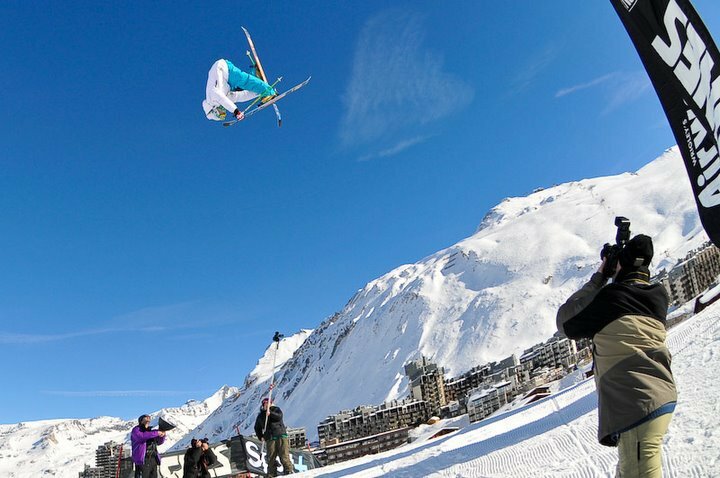 Unfortunately, Candide didn't take part in the actual comps and his appearance was limited to a few practice hits on the booter, but guys like Lolo Favre, AJ Kemppainen, Loic Collomb-Patton, Kevin Rolland, Thomas Krief and Xavier Bertoni more than picked up the slack for the Euros. 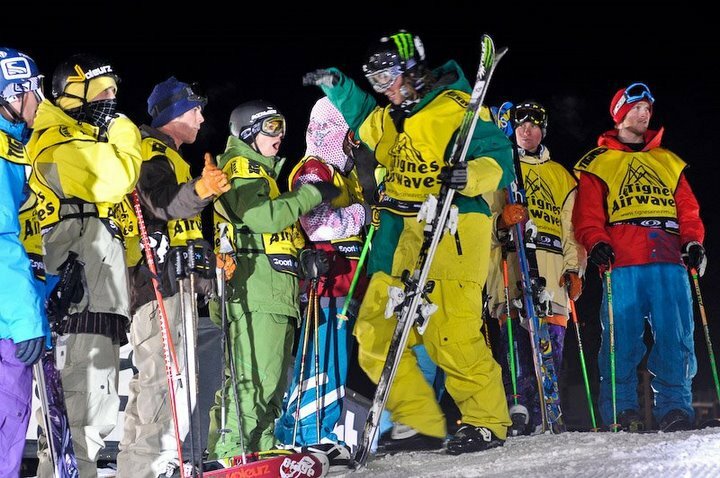 The North Americans consisted of Mike Riddle, Ian Cosco, Josh Bibby, Mike Mertion, Joe Schuster, Matt Margetts, Dane Tudor, Sean Decker, and Cam Schuster as the rookie. 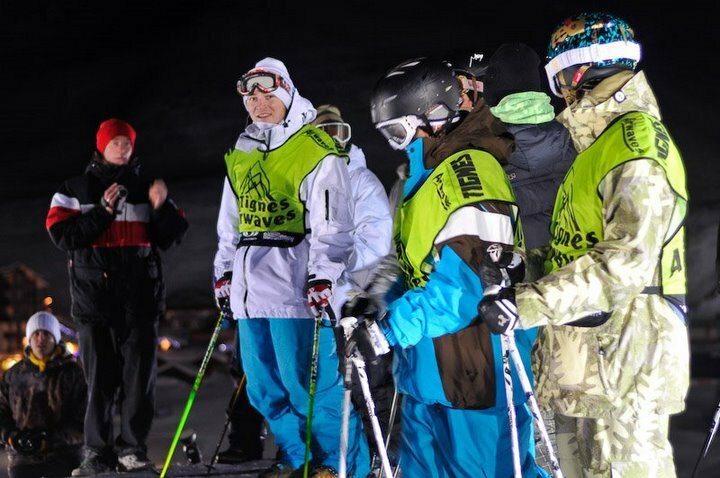 Day one was the booter comp, with practice during the day and the final at night. 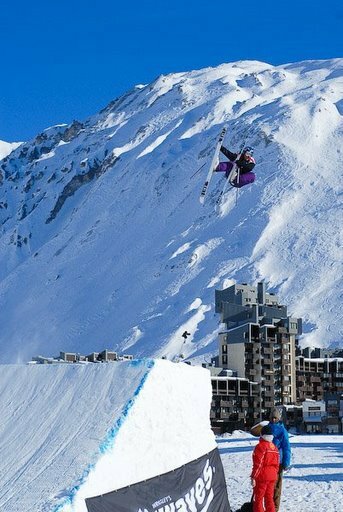 The practice session got off to an insane start, with a constant stream of styled out corked doubles being thrown by both teams. 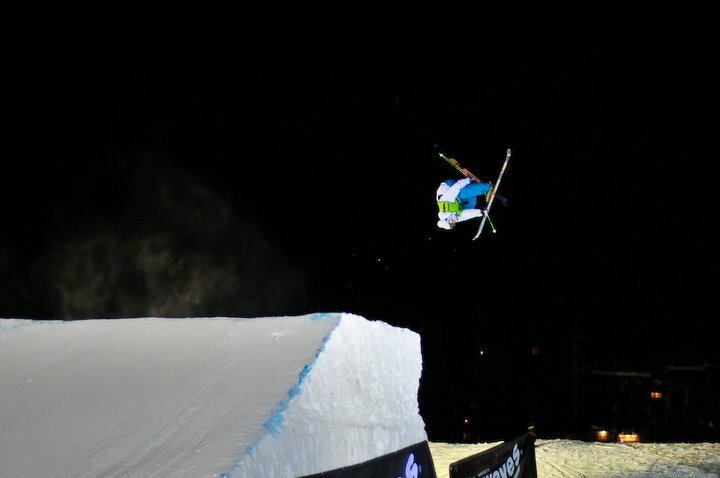 The downside of the balls out practice meant that both Josh Bibby and Xavier Bertoni knocked themselves out of the evening session. 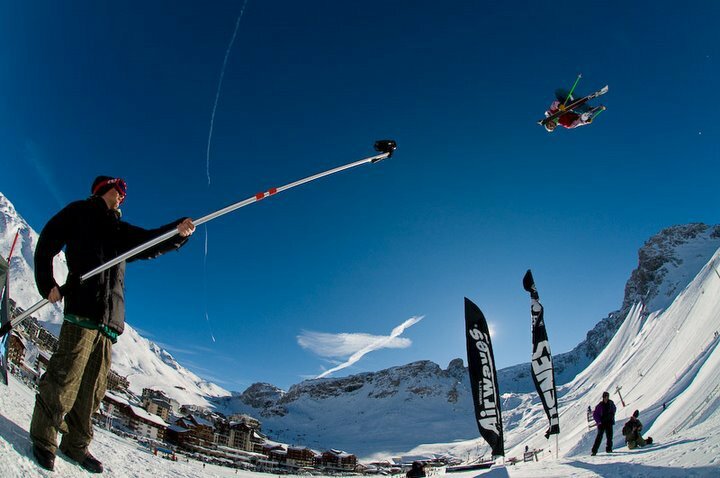 The comp went off with TJ Schiller going for huge doubles but unfortunately missing his landings against Thomas Krief. 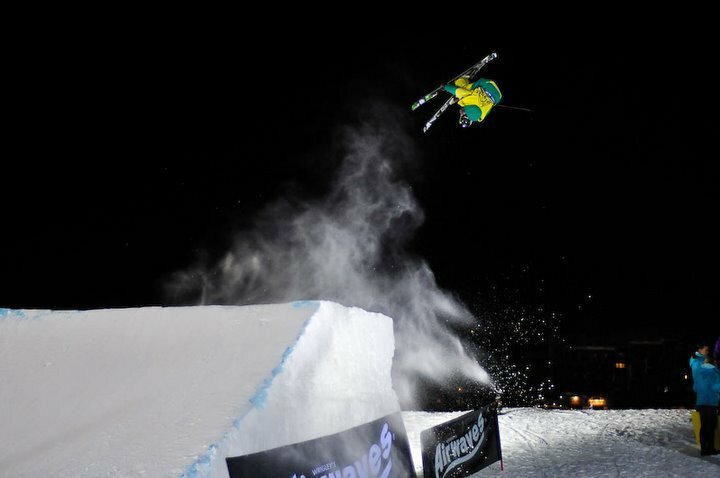 Most of the other pairs split the difference in the two rounds, winning the first and losing the second, including Ian Cosco and Kevin Rolland, Matt Margetts and Loic Collomb-Patton and Mike Riddle and AJ Kemppainen. 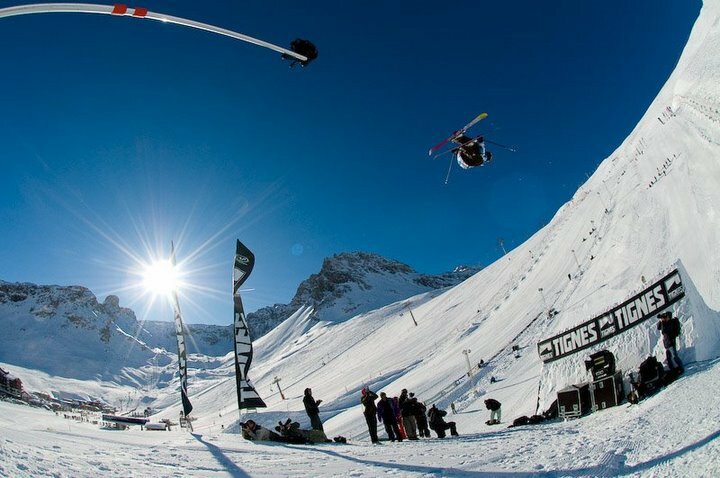 Kudos to the solid effort by Mike Mertion to take out Lolo Favre on home territory. 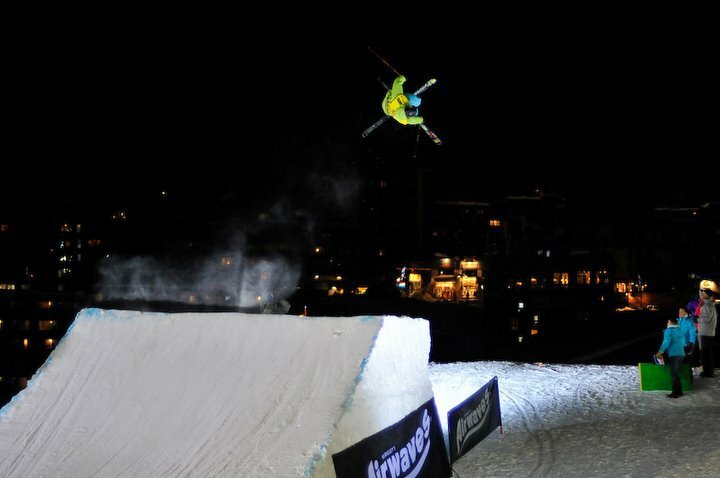 ...but Mike Mertion fights fire with fire. 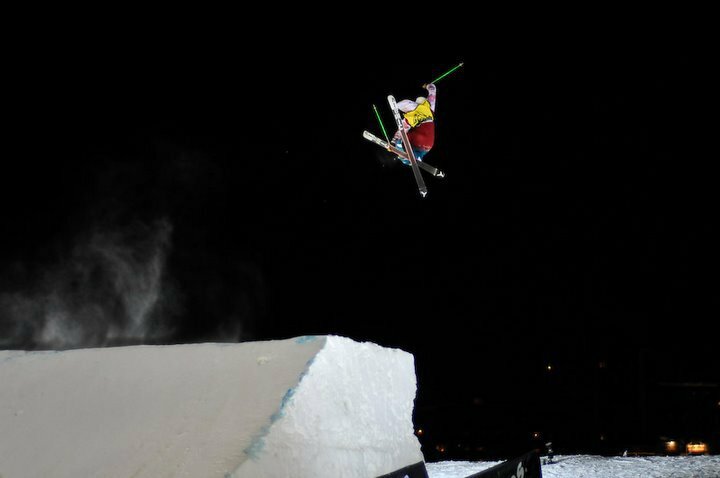 Round one was a 4-4 tie, round two went to the Euros at 6-2, so they drew first blood in the Rider's Cup taking the booter comp 10-6. 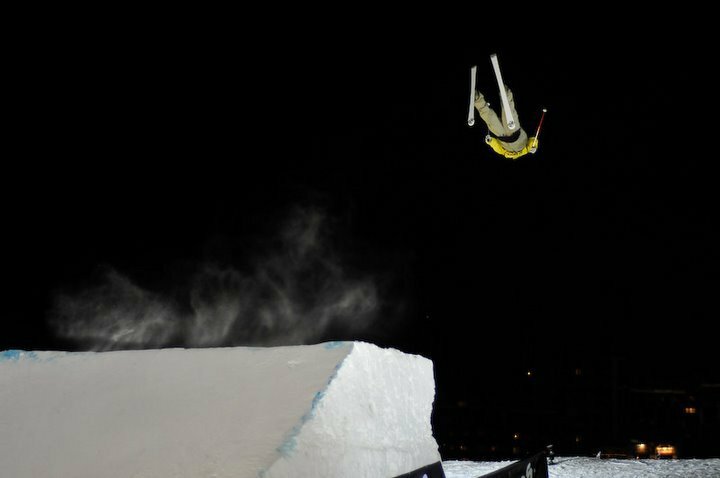 Round two is the pipe on Monday night, but injury problems might make it difficult for the North Americans to claw back.